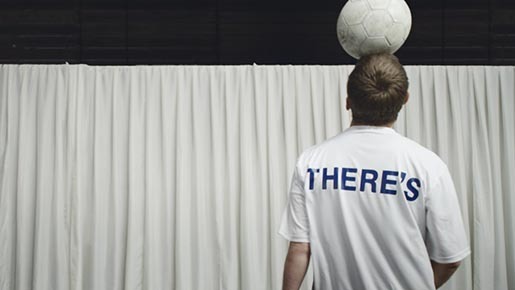 The Sun has launched “Do Us Proud”, an integrated advertising campaign associated with the FIFA World Cup. 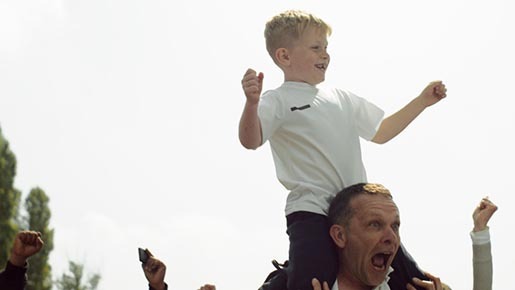 England’s friendly vs. Peru tomorrow night sees the launch of The Sun’s World Cup-themed campaign, urging the England team to ‘Do us proud’ this summer – celebrating the fact that win, lose or draw, we just want our boys to go out there and play their hearts out. At the heart of the campaign is a TV spot which puts a football-themed spin on the regular karaoke format. The Do Us Proud TV spot opens with a football player holding a ball. As the first lyric starts he heads it across to the next player, who heads it to the next, and the next. 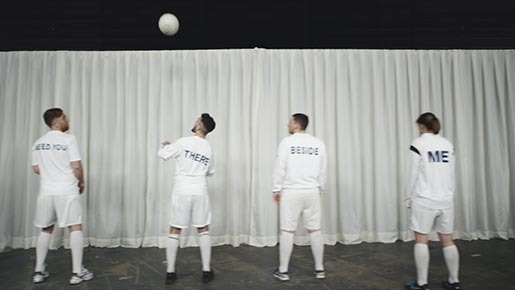 From behind, we see that instead of having a name on the shirt, each player has a word to match the lyric. A 74 man, non-stop headers chain, all timed to the music and making the track a sure-fire sing-along. It also launches The Sun’s England Anthem – a re-recording of the 1960s classic “I’ll Never Find Another You”, which can be downloaded for free at thesun.co.uk/dousproud. #DoUsProud revolves around a re-recording of The Seekers’ 1960s classic ‘I’ll Never Find Another You’ by East London band Dexters. 200,000 free copies of The Sun’s England Anthem will be available to download from thesun.co.uk/dousproud, where a free-to-access hub will collate England fans’ messages of support from across social media to the boys in Brazil. The track will also be free to stream via Soundcloud. The commercial launches on the night of England’s Wembley friendly vs. Peru on 30 May, while the campaign also comprises extensive video-on-demand, press and digital out-of-home executions plus a social activation campaign from Grey’s The Social Partners. The Do Us Proud campaign was developed at Grey London by deputy executive creative director Dave Monk, creative team Rob Greaves and Sam Daly, agency producer Kat Maidment, assistant agency producer Fritha Dickie, creative producer Kevin Noble, planner Hamish Cameron, account team Natalie Graeme, Tamsine Foggin and Michelle Neads, working with News UK director of marketing communications Nick Stringer, The Sun marketing director David Robinson, marketing communications manager Lizzie Crees and marketing executive Lloyd Hartman. Media was handled at M/Six. Filming was shot by director Ed Morris at Rattling Stick with producer Chris Harrison and director of photography Luke Palmer. Editor was Sacha Szwarc at Speade. Post production was done at Nineteen Twenty Post (VFX) and Finish (Grade). Audio post production was by Parv Thind at Wave Studios.